This one was suggested by a regular reader of this blog in a comment, and I promise to write about it quite a long time ago. This is how you do it correctly. The key is to use the soft line return (Shift+Enter) rather than a hard, paragraph return (Enter). 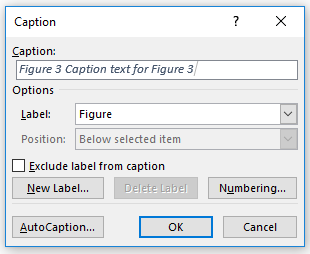 This article has taught you how to create two-line figure captions which show on one line in your Table of Figures. If you have found this useful, please comment using the comment box below and/or share using the social media sharing buttons. Thank you! Brilliant thanks. Saved me house and very clearly explained. 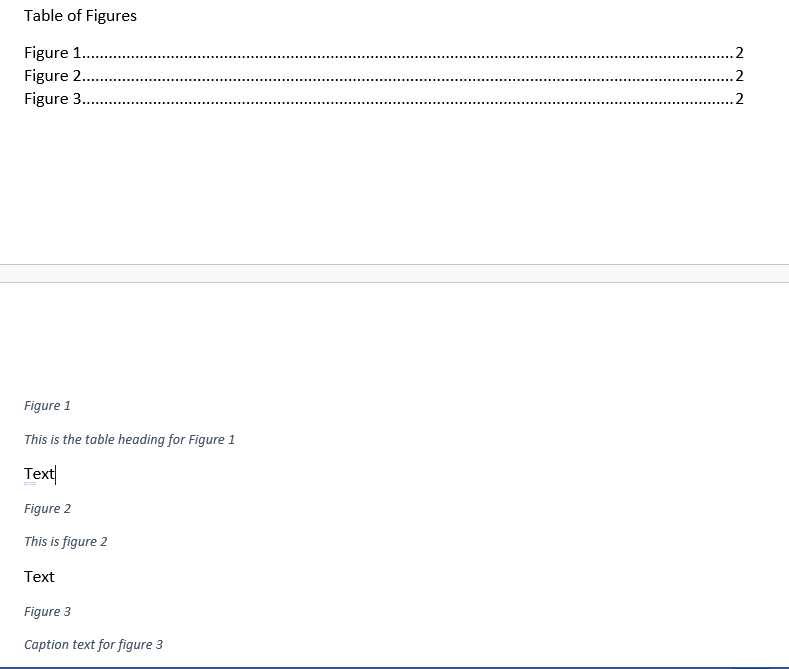 This works well, but what if the two lines are different fonts in the doc, but not in the Table of Tables? What if I need a colon after the Table designation. What if I need a tab after the colon? 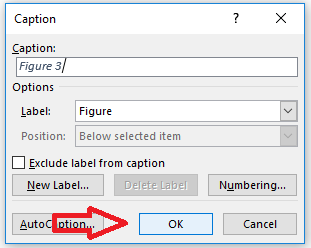 If your style guide demands one style in the captions and another in the table of figures, you might have to manually edit your table of figures once the document is finalised and you’re not going to change it any more (as if you update it, it will return to its previous format). Which style are you using, out of interest? 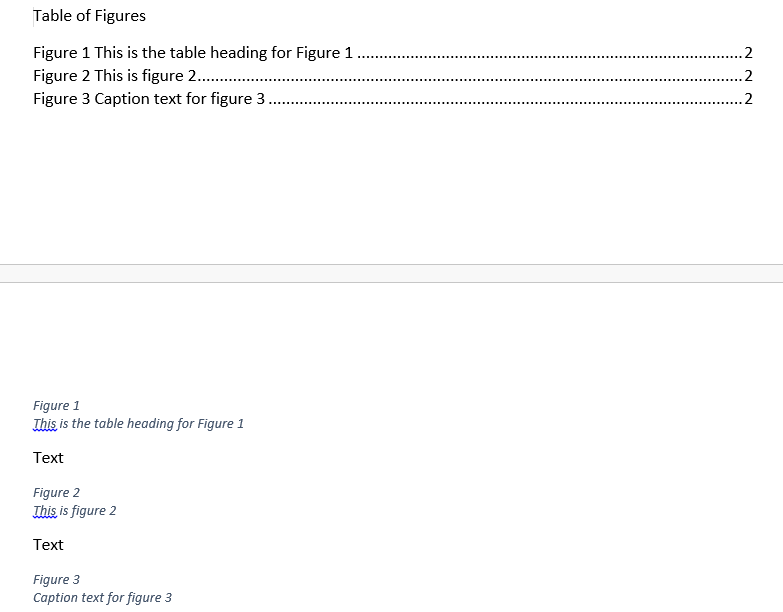 Your instructions on how to add table of figures AND tables, as well as the 2-line solution were perfect – so clear and just let me finalize my document so it looks perfect. Exactly what I needed. Thank you!! I’m so glad to have been able to help you – thank you for taking the time to add your comment!